Picture James Hardisty. 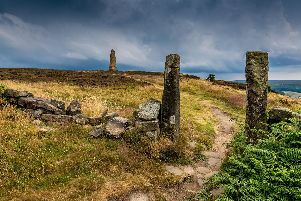 Cook's Monument, above Great Ayton, on Easby Moor, located in the North York Moors national park. Applications for grants from The Prince’s Countryside Fund, to help projects in the rural areas across Yorkshire, will need to be in soon - as they close on February 21. The Fund gives out grants twice a year, and projects in rural areas can apply for funding of up to £50,000 in the spring round of funding. Set up in 2010 by HRH The Prince of Wales, the charity aims to improve the prospects of viability for rural communities and farm businesses. Every year the Fund gives out more than £1m in funding, and can support projects for up to three years. “Our grants help to support a diverse range of projects often delivered by local organisations, such as training vouchers for young farmers, equipment for local abattoirs, overheads and staffing costs for farmer led networks, village shops and pubs, and development schemes for rural businesses. The Fund is particularly keen to hear from projects in the north east of England, as well as from all parts of rural Scotland, Wales, and Northern Ireland, but all projects that meet the eligibility criteria will be considered.